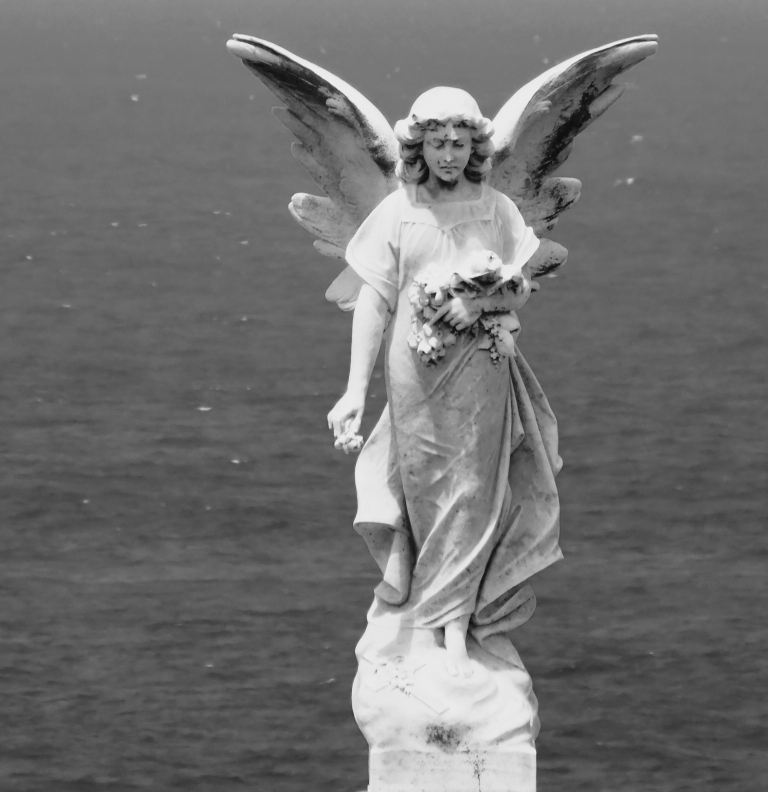 It was a Sydney blogger, Lignum Draco, who introduced me to the angels of Waverley Cemetery. And as an avid collector (photographic) of unusual and interesting headstones it was a place added to the list of “things to do in Sydney”. And after a superb brunch with another infamous Aussie blogger, the loquacious Margaret Rose, I set off to find me some angels. I didn’t find the ones LD depicted, but that is probably just as well because my images are nothing like the quality of his, but I did find some that I liked. Irresistibly reminded of the best episode of “Doctor Who” that Steven Moffat ever wrote, Jude – “Blink”. Oh, if only he would stick to that kind of scripting instead of the stuff he writes now …! These are SUPER photos, and I am perfectly sure that LD is tickled pink at being your inspiration ! I think cemeteries are so interesting! Oh, yes, me too! I love just wandering around and reading the headstones. Wonderful captures Jude. I especially like the full size black and white with her arm in the air. Very majestic! 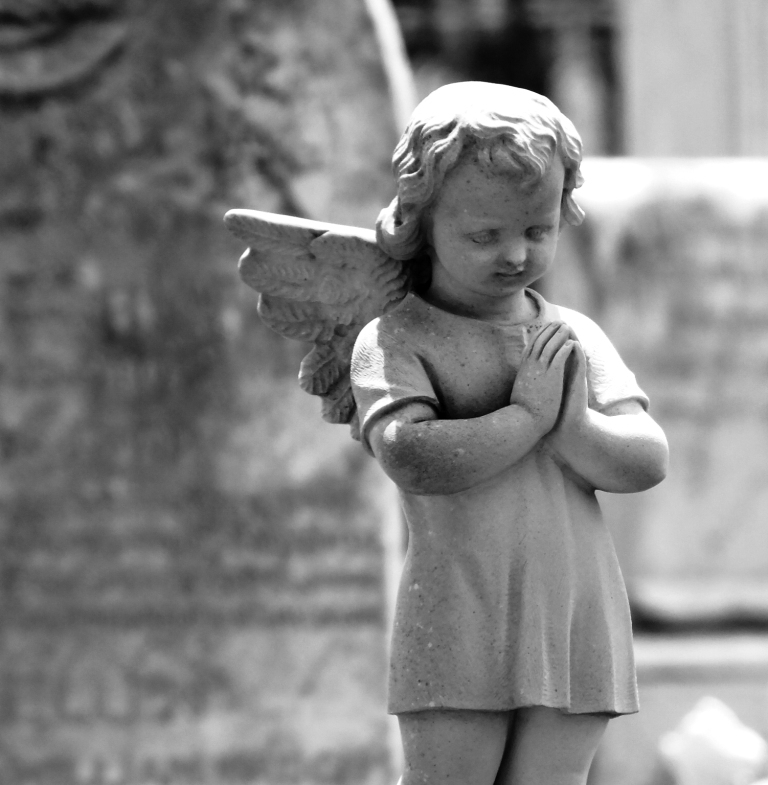 It is a very large cemetery so I only went round one smallish part, and found some lovely angels. M-R is no angel, that’s for sure but these are rather impressive. It only comes in a ‘hands over the eyes’ model. I want them to make one that has its claws out too so I can buy both and swap them when the boys aren’t looking. LD directed me to this one, though I knew about the coastal path walk. I should have spent more time in it though as it is quite large and I missed some amazing headstones. *See his blog for those. I will have to give the Dr Who conversation a miss too-can’t stand it. However, the photos worked well, as white stone can be tricky to expose correctly. I prefer the B+W shots for atmosphere; they tend to complement a cemetery setting. Seems Dr Who is a Marmite experience! Yes, I think you are right about the B&W. I may post some more later. A beautiful collection of angels Jude. The featured image at the top is particularly lovely. I’ve never been a Dr Who fan, although son #2 told me about the Weeping Angels. That gave me a very good reason to never become a Dr Who fan. 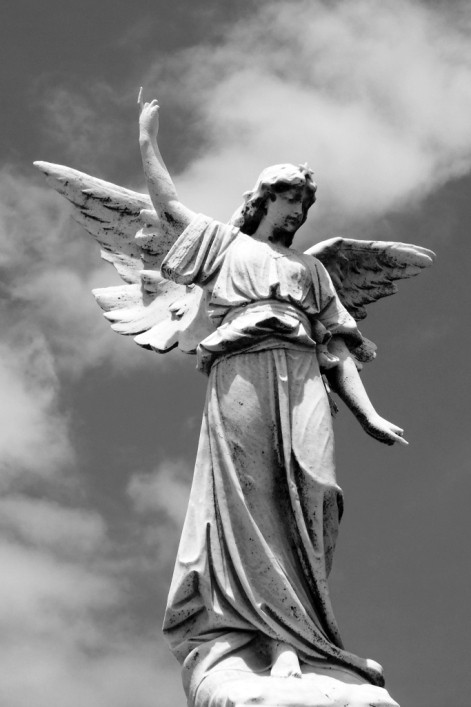 … but it did re-enforce this discomfort I’ve had of angel statutes ever since I was a young kid going to a Catholic school. Instead of benevolence I always felt disapproval. I went for the friendly looking ones! They are fascinating. 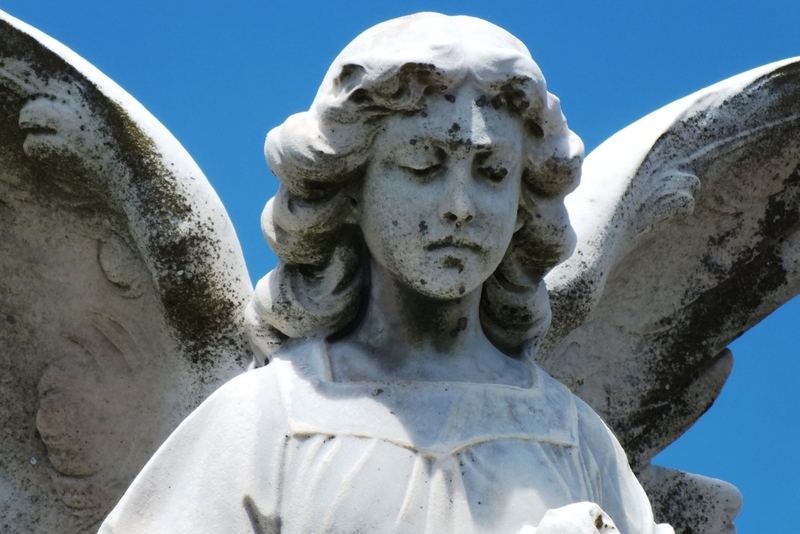 The first cemetery angel I came across was on a book cover titled The Stone Angel by Margaret Laurence (a Canadian Writer). 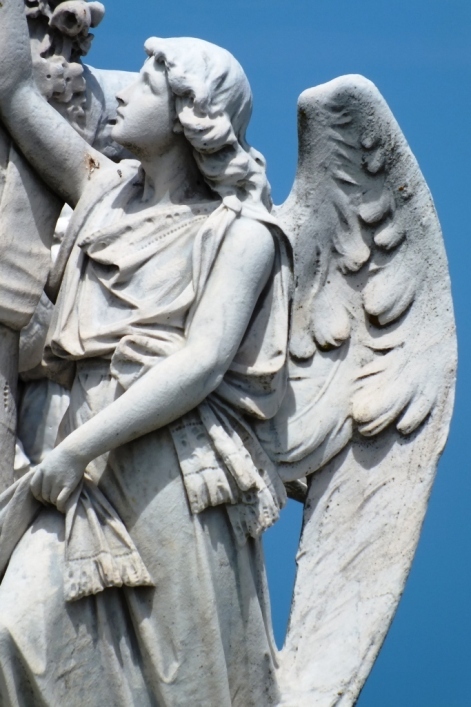 We all love your angels, Jude. Siri and Selma are now thinking about posing like the last one, so beautiful, on Cley beach, but they are so tiny and I keep them on a string by strong winds, they think I’d spoil all the fun. How are you coping with heat? Are you spending Christmas down under? Lots of love and *hugs* ! What a lovely subject to photograph. I like the idea of collection of images of one thing. Great shots. Glad you found what you were looking for, but too bad you didn’t have longer to spend there. Lots of hidden treasures. Loved these, Jude. 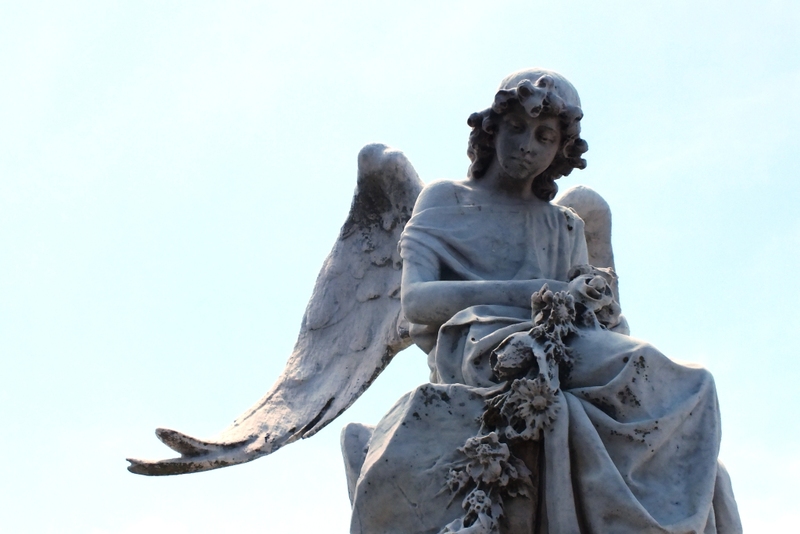 Have you been to Pere Lachaise? No. It was on my ‘things to do’ the last time I went to Paris, but I din’t have time to go there. I am sure that is a fascinating cemetery, but so is Highgate in London I believe. Yes, both definitely worth a visit – with a camera! Dorothea sounds like a woman after our own heart, Jude. 🙂 Love all of your angels. Australia is most definitely a sunburnt country! Even the edges are a bit crispy now 😉 But actually you burn very quickly in NZ where it is lush and green, because the hole in the ozone layer is directly above! Cemetery art can be so astonishing, can’t it. Our American chums made a point of taking us around Buffalo cemetery when we went to visit them. At first we were puzzled by the prospect of this outing, but actually it was one of our most memorable visits – and particularly the grandiose tombs of city worthies of the 19th century. I have always like taking the camera into a cemetery, the older ones especially. Modern headstones aren’t anywhere near as interesting. This is beautiful presentation and its details!